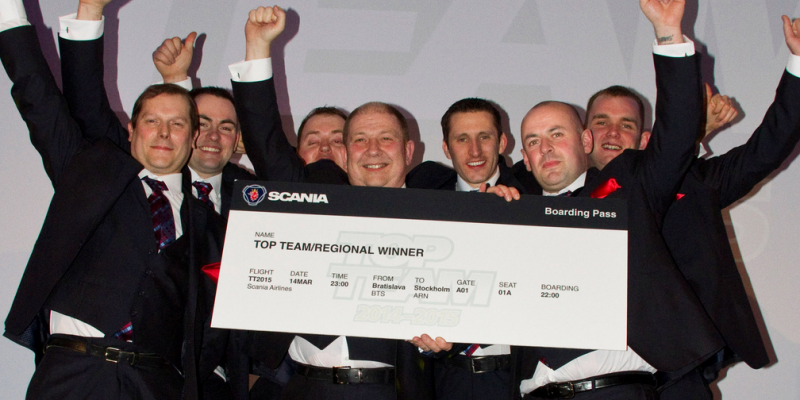 Keltruck Nottingham has qualified for the 2015 World Final of Scania’s Top Team competition, an event designed to encourage and promote the highest levels of skills and customer service among Scania technical staff worldwide. 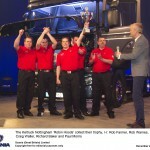 In securing a place at the World Final, the Keltruck Scania Nottingham team (aka: The Robin Hoods) have proved themselves at national and regional level. 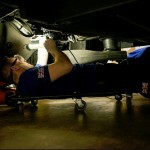 This they did by winning both the UK Final, where they took on teams from nine other Scania UK dealerships, and their Regional Final, which was held over the weekend of 14-25 March in Bratislava. At this event, the Robin Hoods competed against teams from nine of Scania’s international markets, emerging as clear victors by a significant margin. 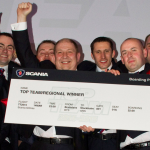 Top Team was established in 1989 and has grown into Scania’s flagship global event for aftersales personnel. Held bi-ennially, this year’s competition attracted entries from 8,000 participants in 62 countries. With Regional Finals being held in Bratislava, Slovakia, Buenos Aires, Argentina and Guangzhou, China, a total of 12 teams will come together for the World Final, which takes place in Sweden this coming December. In addition to the prestige that comes with success, the ultimate winner and two runners-up will share a prize fund of 100,000 Euros, to be split between the winning branch and individual team members. Keltruck was founded by Chris Kelly in 1983. Take this link to see some of the history behind the company in pictorial form.